Law enforcement could soon be able to shoot down citizen drones, thanks to a new bill that will likely be signed into law by Donald Trump within days. 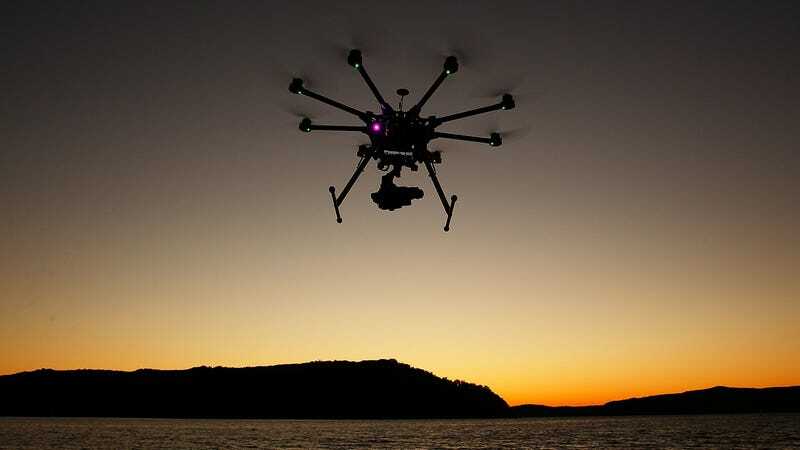 The U.S. Senate approved the FAA Reauthorization Act on Wednesday. The bill includes new regulations for airports and airplanes, many of which relate to passenger safety—like one stipulation that establishes leg room and seat width measurements, and one that prevents airlines from removing passengers who have already been seated. But the Act also addresses civilian drones. It states that the government can take control of, seize, or confiscate drones that are perceived to be a threat. Under the act, authorities can take down a drone without having a warrant. TechCrunch reports that the Electronic Frontier Foundation and American Civil Liberties Union have criticized the bill. An ACLU spokesperson told TechCrunch: “These provisions give the government virtually carte blanche to surveil, seize, or even shoot a drone out of the sky—whether owned by journalists or commercial entities—with no oversight or due process,” The spokesperson said the bill could interfere with journalists who want to use drones to report on events such as protests. The EFF told the outlet that the bill is a threat to First and Fourth Amendment rights, namely freedom of speech and protection from warrantless seizures. Reuters reports that officials expect President Trump will soon sign the bill into law.